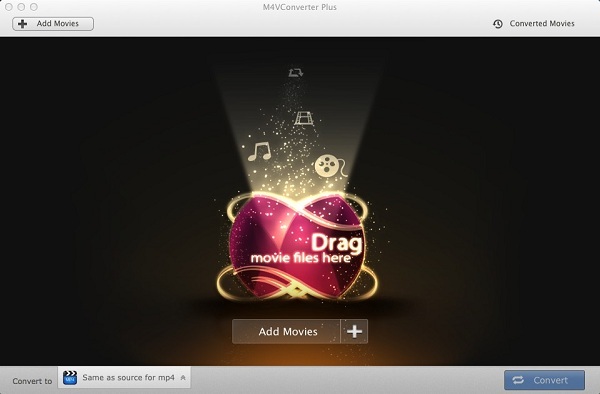 M4V Converter Plus is an all-in-one iTunes Converter, which enables you to bypass Apple DRM copyright protection from iTunes movies, TV shows and music videos. It can support perfect solution to remove Apple DRM copyright protection from iTunes videos by converting DRM M4V to unprotected MP4, MOV, AVI, FLV with 100% original quality kept. Add iTunes videos to the program is an important step in the conversion progress. Now free download the program, install and launch it. It might also be noted that you first need to authorize iTunes on your computer. Step 1: To add iTunes files to the program, you can click the Add Movies button, you can directly drag and drop the videos to the main window. Step 2: Then the adding window pops up and all available videos will be listed as the right. Locate and select the files you want to add. Step 3: Click the Add button, then you can see all the files you choose are shown in the file list. 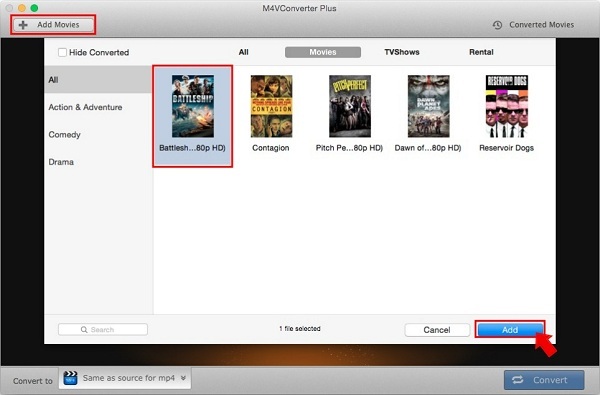 Tips: The program can convert iTunes purchased movies, Rentals, TV shows and music videos. 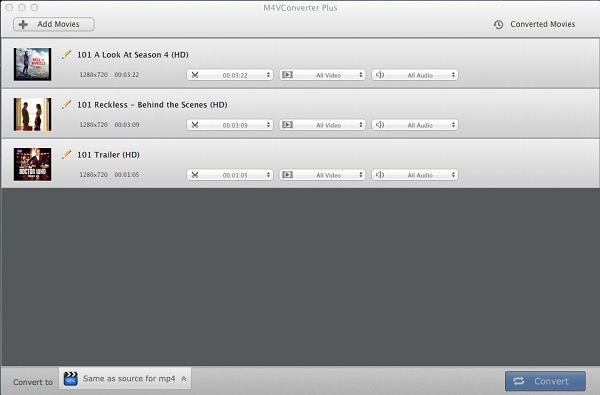 For Mac version, it can also convert iTunes Extras. Step 1: Select the files you want to delete. Step 2: Click the Remove button (Or do this through the menu item File->Remove from converting list), then you can see the files you chose are deleted. Tips: You can move the mouse to the file which you want to delete, it will show the Remove button, and you can click it to delete the file.